This pattern has no originator. It’s universal. It is tied by several fly tiers, and used widely throughout the world. 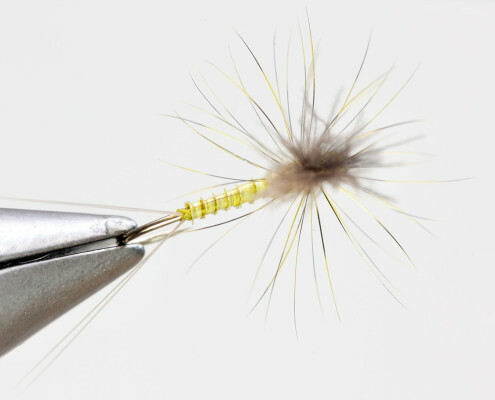 The Turkey Biot Aurivilli BWO is tied in light olive colors, and I put effort into tying it slender with a sparse hackle. 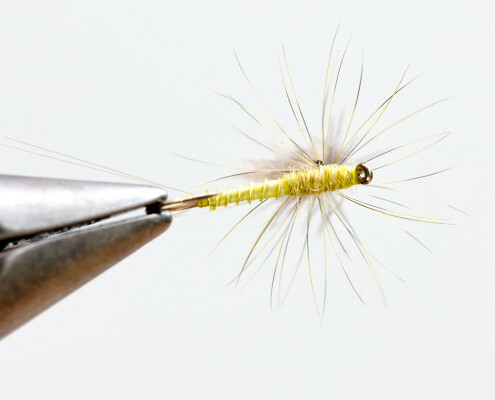 This results in a fly that is well suited for slick waters, but not very well suited for riffled streams. 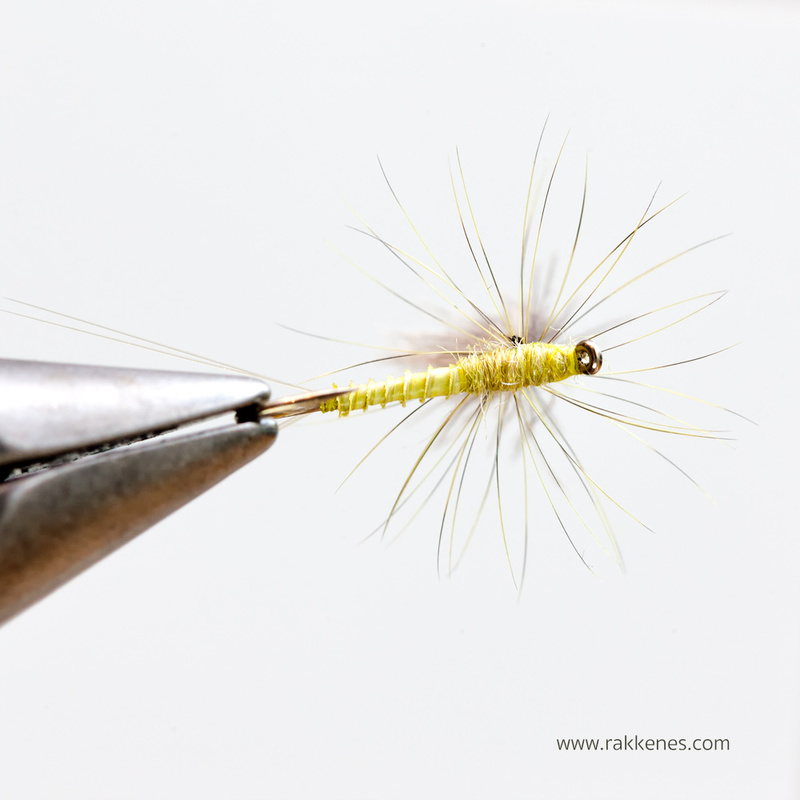 I do prefer slick flies whenever I can fish with them. 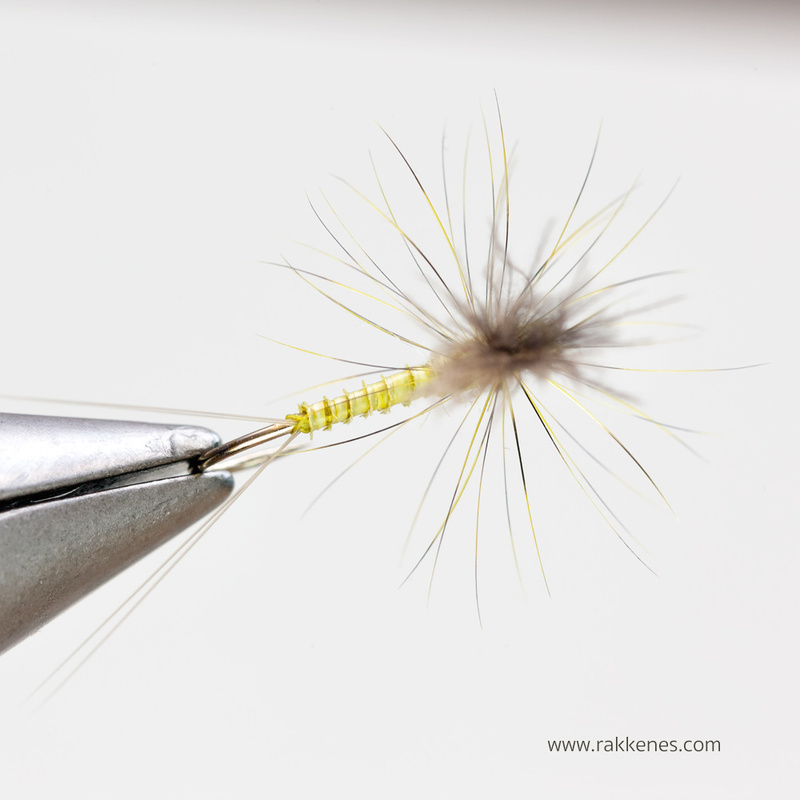 This particular color combination is used by Rune Stokkebekk, a Norwegian fly tier. He names the fly a Sulphurvilli, since it is usable both for the Sulphur and the Aurivilli hatch. The pattern is general however. Just choose a proper hook size and colors to match the hatch you are fishing. The biot gives the abdomen a nice segmentation, and I have the impression that if you’re using DryDip as your floatant a biot gives a cleaner print on the film than ordinary dubbing. This is due to the reaction between the water and the water repellent liquid that tends to mask a soaked body.